HELLOWEEN are one of Germany’s most respected metal exports and considered the founders of German melodic speed metal. As godfathers of the genre, they have grown to become one of the most influential metal bands in the world. 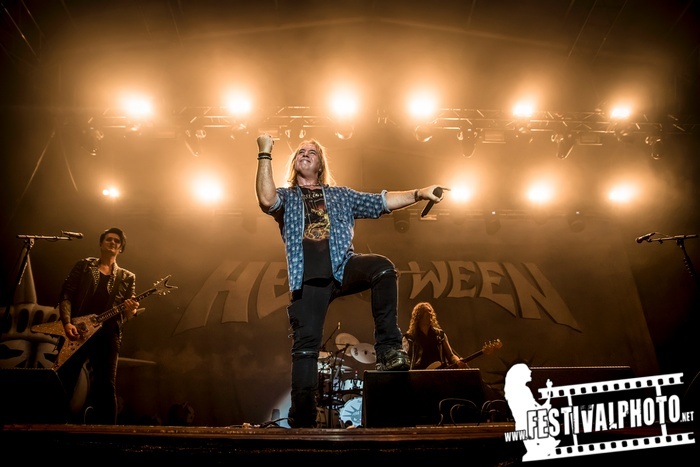 In a career reaching back as far as 1984, HELLOWEEN have performed at innumerable metal festivals around the globe such as Rock in Rio, Loudpark, Wacken, or the Woodstock in Poland, which they headlined in front of over 500,000 fans. So far, HELLOWEEN have released fourteen studio and three live albums, including the genre masterpieces »Keeper of the Seven Keys« Part I & II in the late 80s. In total, HELLOWEEN have sold over eight million records.